Organising a big birthday party, an extended family get together or simply looking to share the childcare with some likeminded friends somewhere family friendly? 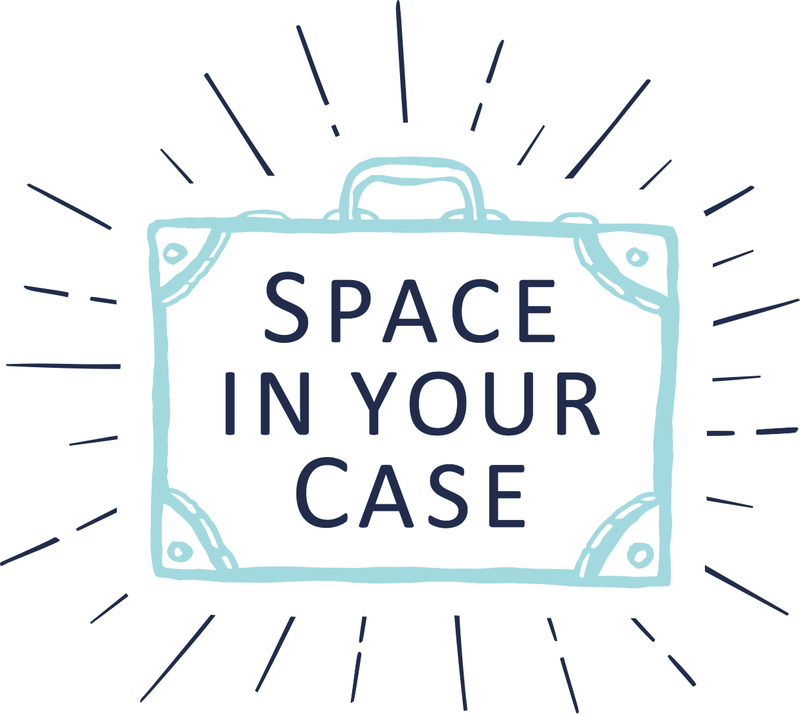 Today we are sharing 10 amazing larger self catering properties. 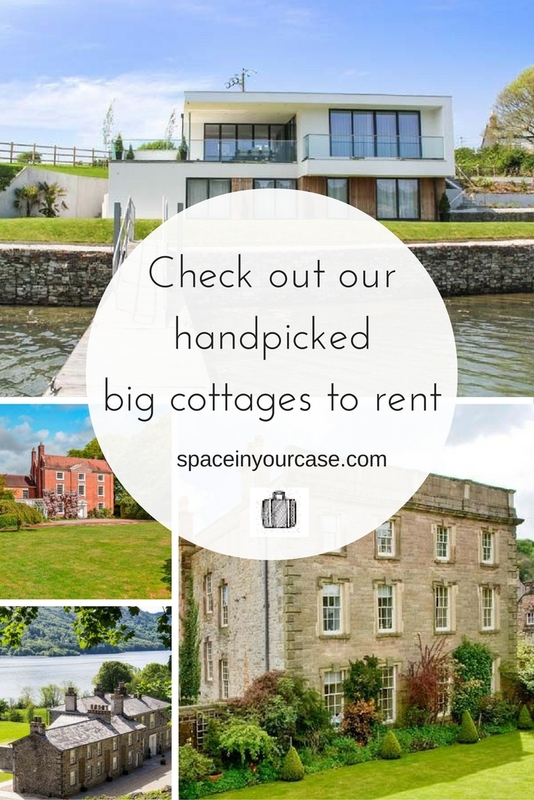 From Cornwall to Aviemore we’ve found some amazing big cottages to rent which will reconnect with your special people. Whether you are 14 or 44, there is something for every gathering. We’ve also included links to Penny’s posts on some of the local areas, she’s a real UK cottage holiday lover and has lots of posts bursting with family friendly tips on things to do locally. To find out more about the cottages click the link to read much more about locations and amenities. 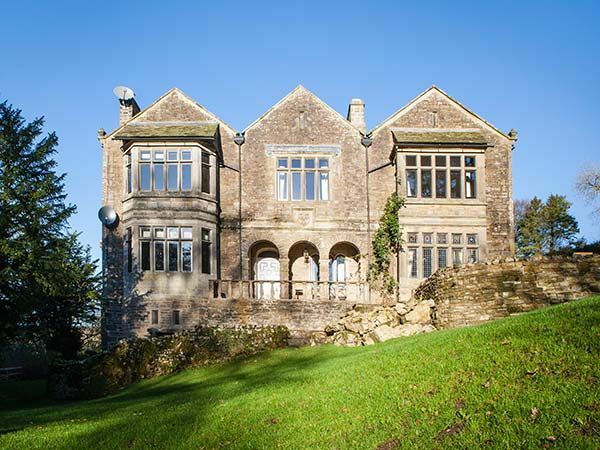 Middleton Hall, is a Grade II listed, beautifully refurbished, stone-built mansion. 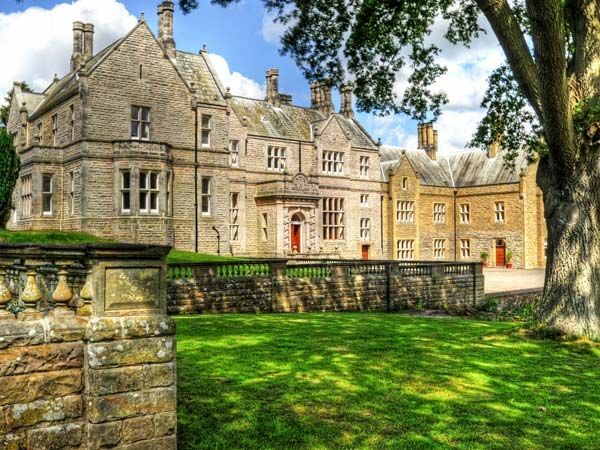 Nothing quite prepares you for the sight of this breathtaking 17th century retreat, nestling amongst the trees near Belford in the heart of the Northumberland countryside. Penny visited Northumberland recently and found no end of fantastic things to do with the kids here, castles to explore, pretty fishing villages, playing on vast swathes of beach that look like the Caribbean, boat trips to the Farne Islands to see puffins, or days out following Roman history along Hadrian’s Wall. The hospitality and the welcome is wonderfully warm. Middleton Hall can be combined with neighbouring/nearby property to sleep 40. Oughtershaw Hall, Yorkshire Dales, sleep 16. With a Sauna, heated swimming pool and basement games room there is something to keep everyone busy at Oughtershaw Hall. 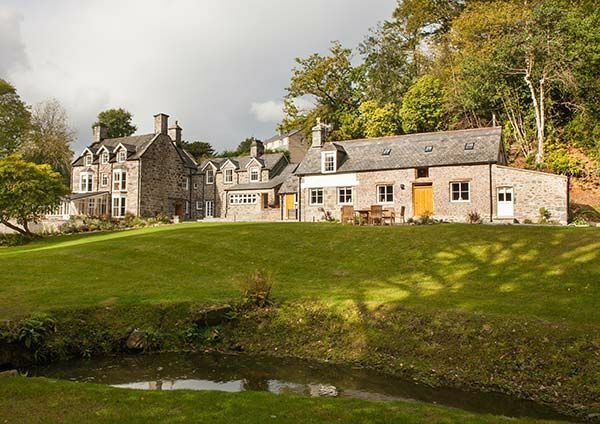 The features of this former shooting lodge are guaranteed to impress. There are servant’s bells and stained glass windows, and a guest book dating back to the 18th century. Oughtersahw Hall is surrounded by National Trust land and situated in one of the best areas for walking in the Yorkshire Dales. You can wear the kids out and then snuggle by the fire in the evenings. Nearby Hawes is one of the most popular market towns in the Yorkshire Dales, home to the famous Wallace & Gromit Wensleydale cheese with its working factory, museum, visitor’s centre and restaurant. If you are looking for a really special getaway in stunning Snowdonia, with it’s mountains, castles and beaches, Tan Llan could be just the place, with 15 acres there is space to truly feel at home in Snowdonia’s glorious National Park. 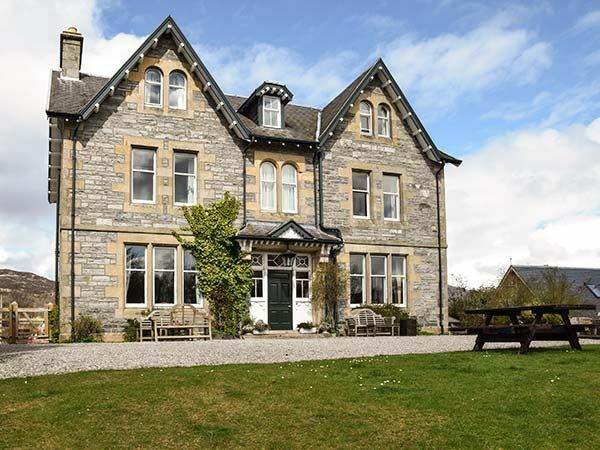 We think Tan Llan could be great for a couple looking to celebrate an anniversary with extended family. The exceptional master suite is situated in its own wing, with its own freestanding bath. Penny loved exploring North Wales with her family, find out which beaches and castle they loved here. With its own mooring and pontoon (that’s a boat if you were unsure!) on the banks of the River Tamar, Ancarva is perfect for making family memories. 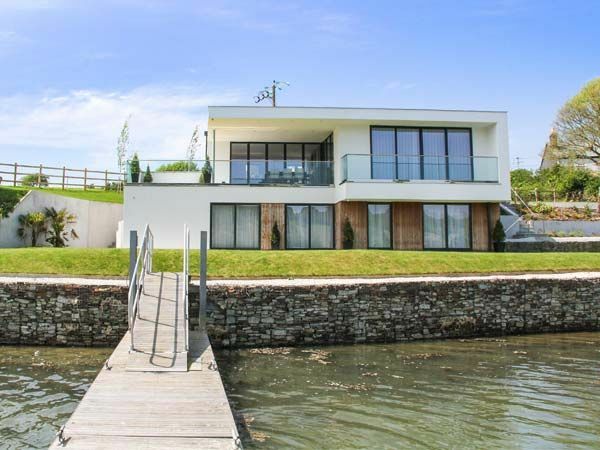 Prepare to be wowed by the contemporary design and panoramic views across the river to the historic Mount Edgcumbe estate and beyond. Travel by boat or by car to small beaches and coves along the coast, a paradise for sailors and sunset lovers. The views of Lake Windermere from the giant dining kitchen at Silverholme are incredible, there are log fires and a cinema room too. This would be an amazing place for a family get away in all seasons, the Lakes make an amazing place to retreat to. For local inspiration, check out Penny’s post on things to do in the Lake District with kids. 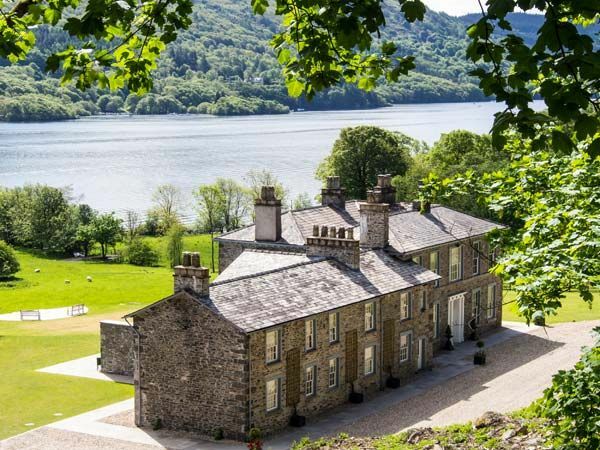 There are amazing walks along Lake Windermere and up fells, trampolines in the trees and museums and walks that explore Wordsworth and Beatrix Potter’s footsteps. For a Swallows and Amazons themed action adventure, check out this post. 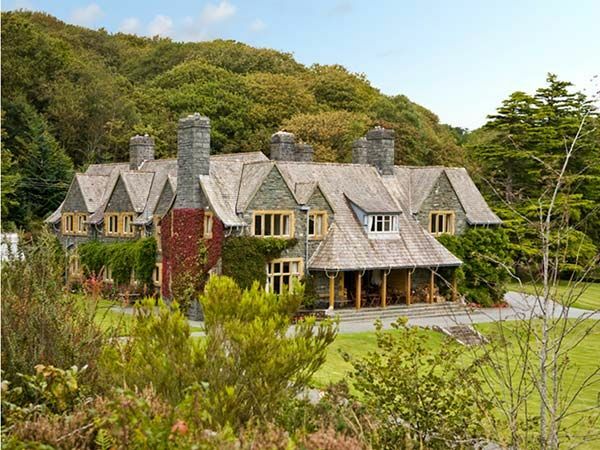 Plas Gwnfryn is an imposing Edwardian residence set within 8 landscaped acres. It’s perfect for spending time together and apart. All the bedrooms have spectacular views of Artro Forest, the Rhinog mountain range, Moelfre mountain or the sea. There is a courtyard for summer alfresco dining and 4 log burners for chillier nights. The sitting room sits 16, so the whole gang can be together. With beautiful arts and crafts architecture, it’s even been featured in Country Living magazine. Only 4 miles from the stunning beacon of Penny’s childhood holidays, Harlech Castle. The castle is surrounded by six miles of sandy beach. 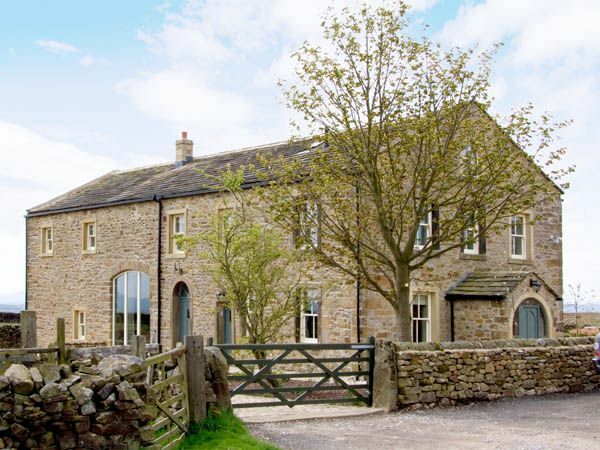 Featured in The Sunday Times top 100 cool cottages list and Concept for Living magazine, Bookilber Barn enjoys an fabulous hillside position with breathtaking views and fabulous walks in every direction over the breathtaking Yorkshire Dales. We love the contemporary comforts: underfloor heating and a hot tub to relax in afterwards! One of Penny’s first holidays with a baby in tow was to this area. A baby carrier and grandparents meant she still managed to fully appreciate walking in the stunning Yorkshire Dales. 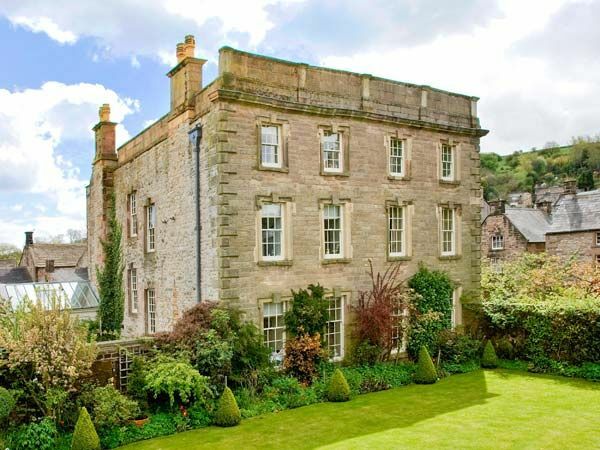 Enjoy staying is a grand country home complete with quoins, a cornice topped by a parapet, a beautiful balustrade, ornate ceilings and beautiful fireplaces. Winster Hall is the perfect place to play board games together, the first floor sitting room is stunning and the summerhouse is equipped with games to make the most of the garden. Nearby, Penny recommends Matlock for chips by the river, Gullivers Kingdom and the Heights of Abraham; Bakewell is world famous for its Bakewell Pudding and stunning Chatsworth House is close by. There are magnificent walks from the doorstep in the beautiful Peak District. Play at being Laird and Lady in the stunning Scottish Suidhe Lodge. There is zip wiring, clay pigeon shooting, 4×4 adventures and horse riding on the doorstep and in nearby Aviemore you can certainly get into role! We love the tartan accents, antique furniture, gorgeous country kitchen and, yes, this places even has a hot tub. There is a wonderful feeling of space in the Victorian high ceilings and generously proportioned rooms, and outdoors via the views of mountain ranges. There is even a discrete and self contained pub within the lodge, Suidhe Lodge is a social place to be. Penny’s family motorhome trip took her through this amazing part of the world, she promises you, the scenery is absolutely out of this world. 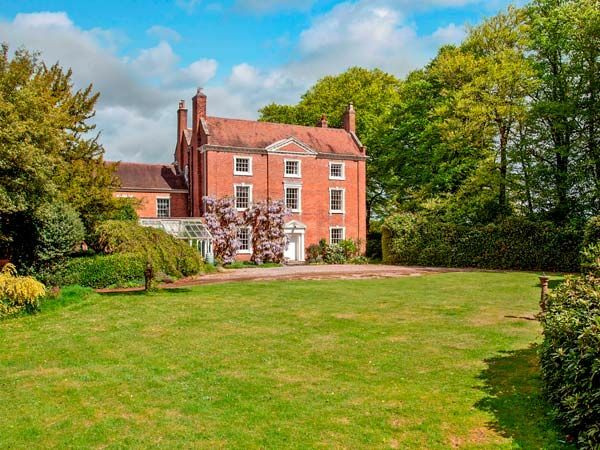 Ismere Hall, Blakedown, Worcestershire, sleeps 44. A stunning, detached Georgian house, ideally situated in its own private parkland. The games room has a pool table, table football, air hockey and darts to keep the kids busy while grown ups enjoy making an entrance down the sweeping cantilevered staircase, cooking in the AGA and chilling by the open fires and woodburning stoves. Close by to Ismere Hall visit the Black Country Living Museum, Severn Valley Railway and West Midlands Safari Park, or further afield enjoy a day out at the pretty town of Bridgnorth, with world-famous Cadbury World, Ironbridge Gorge and Stratford-upon-Avon, birthplace of William Shakespeare. Penny spent a couple of days in Worcestershire on a university friends and families reunion over the summer, making toy boats and watching the river go by, it’s very pretty place to be with your loved ones. Good Luck with arranging your get together! Let us know if you have stumbled on any incredible big cottages to rent for friends and family get togethers in the comments below. How gorgeous are these?! We’ve had a couple of really fun group trips for big birthdays in the past, so very tempting to start planning the next milestone at one off this list. They are all so different aren’t they! I love these large houses for multi-generational breaks. The in-laws hired one in Scotland for their joint 70th birthday celebrations, and it slept around 30 I think. It was a really great holiday – such a nice treat for all the family to be together.